LEAD & SERVE with Passion, Presence & Purpose. REINVENT YOURSELF w/ Like-minded Visionary Pioneers. "What area of your life are you ready to UPGRADE in a massive way these next 12 weeks?" This 12-Week COACHING MASTERMIND GROUP is only offered 2 times per year in the Spring and Fall. The changes that participants experience can be profound beyond imagination, so be ready! This course includes LIVE weekly online gatherings (via web video conference or telephone). Each week we explore timeless wisdom and game-changing tools & strategies to move your life forward to the next level. You'll receive amazing support from like-minded, like-hearted Visionary friends. If you miss a call, or can't make it for a week or two, don't worry, all the course materials are stored in our BRAND NEW Course Portal for you to access for years to come including live recordings, tools, and documents. Tuition is only $995 for these powerful & transformative 12-weeks, with flexible 1-payment or 3-payment options for the tuition! For those who need other flexible options, we have 2 scholarship spots with sliding scale. Just let us know! Dr Edith's Group Mastermind was a total LIFE CHANGER! I had been trying to make significant changes in my life and career for years without success. This course was the catalyst to move everything forward. I was blown away by the game-changing content and easy-to-use tools. Our 12-Week ONLINE Group Mastermind brings together like-minded Cultural Creatives, Visionary Entrepreneurs, Leaders, Conscious Parents, and Human Pioneers like you. Immerse in timeless wisdom and a supportive community. Experience powerful world-class transformative program, supporting one another as we awaken our next level of Mastery! Meet like-minded, like-hearted community of Conscious Leaders & Human Pioneers. Immerse in timeless wisdom, a supportive community, and the most powerful, game-changing High Performance tools & strategies based on cutting edge research. ***BONUS Gift: receive 1 tuition-free ticket to the next High Performance Academy LIVE, with Brendon Burchard, founder of the High Performance Institute! Meet Brendon Burchard below. Her journey began in 2003 after a series of meditation-induced mystical experiences that altered her perception of human possibilities forever. Since then, she has devoted her entire life to unlocking the secrets to our Human Potential, integrating the worlds of medicine, science, and spirituality. 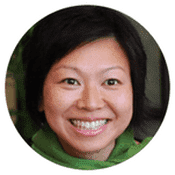 As a Holistic Doctor, she's best known for her success helping athletes not only heal from illness/injuries, but soar into previously un-imagined levels of vitality and performance. 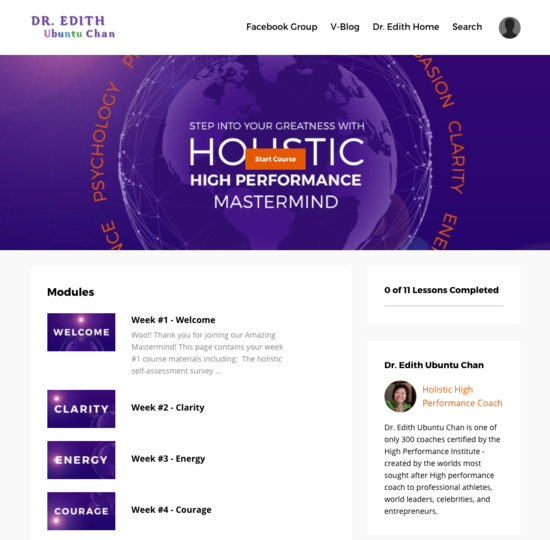 As a coach, Dr. Edith is one of the first 300 coaches world-wide certified by the prestigious High Performance Institute, where she's personally trained by the world's most highly sought-after High Performance Coach to Fortune 50 CEOs, Olympic athletes, entrepreneurs, celebrity thought-leaders, and change-makers. ​I believe you deserve an AWESOME Life!